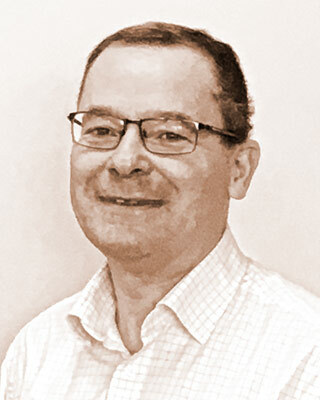 In a 35 year career in shipbuilding, Paul has carried out a variety of roles in both production and ship design disciplines, from commissioning and outfitting, classification approval (Lloyd’s Register – engineer surveyor), to the design of marine machinery and hull piping systems. The design role represents the majority of Paul’s career, where he has been involved with both conversion and new build projects, at both the basic and detailed design level. This across a variety of ship types, from small craft, naval ships, passenger ships, pipe-laying vessels, cargo barges, floating production units (FPSO, FSRU, FLNG), sub-sea mining vessels, to the largest offshore heavy lift construction/ de-commissioning ship. Each of these projects demanded an in depth knowledge of the rules and regulations as well as the ability to draw on personal experience, in order to provide effective solutions to the client for the specialist aspects which inevitably arise for each. Examples being novel air and overflow systems, integration of emerging IMO convention systems such as ballast water treatment, exhaust abatement and safe return to port, to specific system features such as discrete flow measurement in a fresh water cooling system, to satisfy a hazard assessment requirement. Paul also takes a keen interest in ship design outside of purely project related tasks, in keeping up to date with ongoing developments in the design of marine systems, as well as maintaining an awareness of the variety of approaches available for their effective application.